Welcome to 18 miles of pure serenity! A barrier island of delicate sand dunes, warm gulf waters, a unique ecosystem and abundant wildlife, where rare falcons fly and sea turtles nest on the sun-dappled shores. Bordered by the Gulf of Mexico on the east and south and Corpus Christi Bay on the north and west, Mustang Island is a piece of paradise on the beautiful Texas coast. Beach comb the shoreline for sand dollars or hop on a jetty boat to the unspoiled coastline of San Jose Island where more treasure awaits. Soak up the sun, hunt for crabs and barnacles where the waters lap the shore. Surf the waves at high tide, paddle the waters at low tide, boogie board, windsurf or simply build a sandcastle. Local guides are nearby to help you step up your adventures, be it freefalling on a skydiving adventure or parasailing through the skies. Mustang Island State Park lies on the southern part of the island with five miles of pristine coastline dotted with shells, fossils and, at the right time of year, sea turtles. One of the few remaining breeding grounds for the endangered Kemp’s Ridley turtle, between April and July you may get a glimpse of hatchlings taking their first ocean swim. The park is also home to the Young Atlantic Green Sea Turtles who scurry around the jetties and hunt for food in the warm ocean waters. The protected waters of Mustang Island are home to over 600 species of saltwater fish, making it an angler’s paradise! Cast a line from the jetties, wade the shallow waters, explore 20 miles of paddling trails or charter a deep sea fishing excursion for the best fishing in Texas. Mustang Island also has one of the highest bird counts (over 400 species!) on the Gulf Coast with four sites on the Great Texas Coastal Birding Trail. These include the rare Aplomado Falcon, Roseate Spoonbills, Reddish Egrets and Black-Bellied Whistling Ducks! A highlight every February is the Whooping Crane Festival, simply adding to the draw for bird lovers to this island of natural beauty. When the kids are not building sandcastles and splashing in the waves, they can get actively involved in one of the many Junior Ranger events that include birding, stargazing, fishing and geocaching. Island time is the best time for fun and adventure! 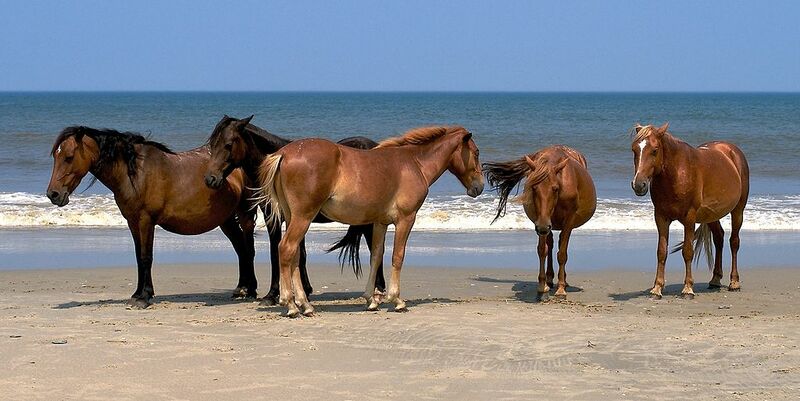 Originally named Wild Horse Island after the roaming herds of Mustangs, the first known inhabitants of Mustang Island were the Krankawa Indians, discovered by a Spanish explorer in 1519. They were joined by buccaneers, smugglers and immigrants seeking fortune until 1853 when Captain Robert Mercer settled on the island with his wife and family to build his home, El Mar Rancho. Mercer remained on the island, operated the docks and opened a general store. By 1870, the island was home to nearly 300 residents, however, the mystery remains… Where did the Mustangs go? Tradewinds Vacation Rentals welcomes you to the beautiful Gulf Coast of Texas and Mustang Island. 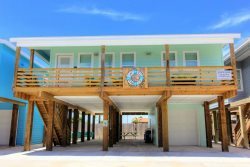 Our portfolio of Mustang Island vacation rentals are perfectly placed to enjoy all the area attractions, all within minutes of the comfort of your vacation home. This is the perfect vacation destination for nature lovers, anglers, birdwatchers and beachcombers! We welcome you warmly to our island.